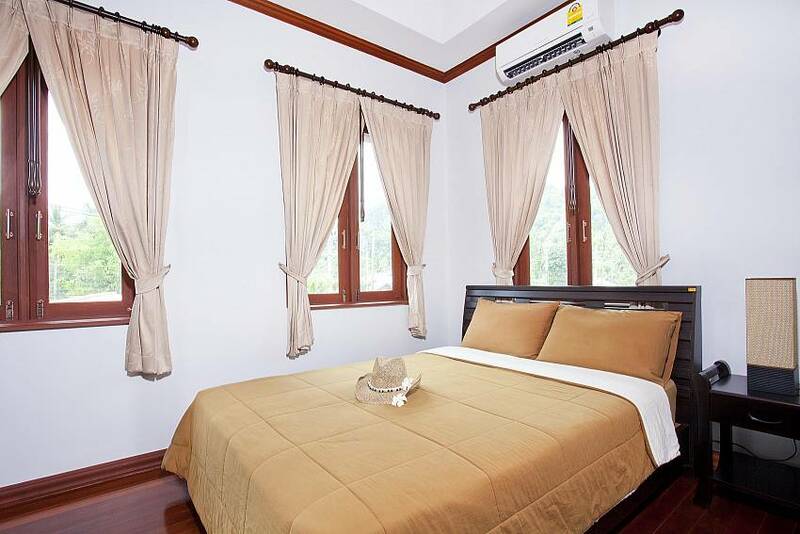 This two-bedroom villa makes a great base for exploring the magnificent Krabi from its peaceful location at Ban Chong, 7 km from Ao Nang beach. 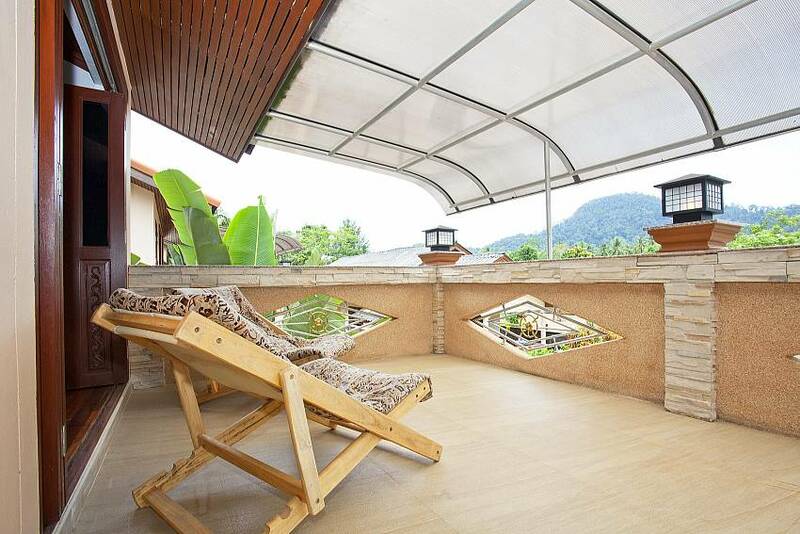 The two-storey villa is charmingly decorated and is right beside a pool shared with just two other villas, enjoying lovely mountain views. 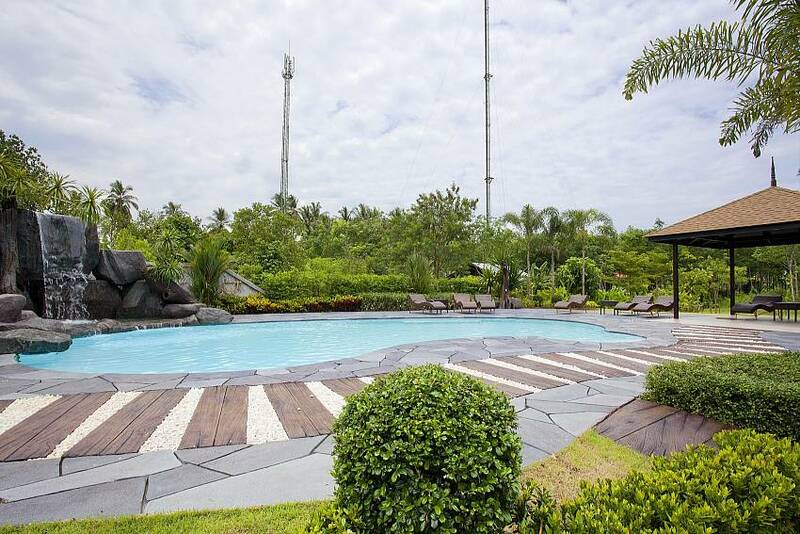 The pool has plenty of sun loungers and sitting areas to help you relax and unwind in complete tranquility. 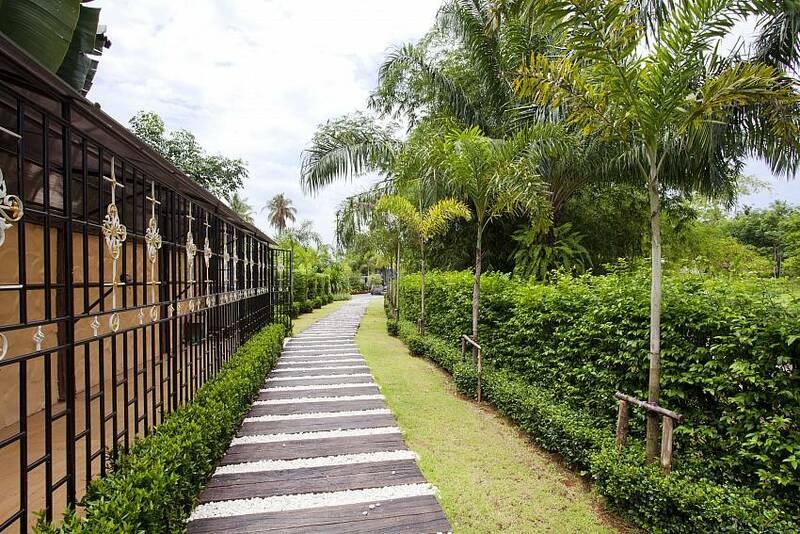 There is also a covered outdoor terrace so you can enjoy al fresco dining in the caressing tropical air. 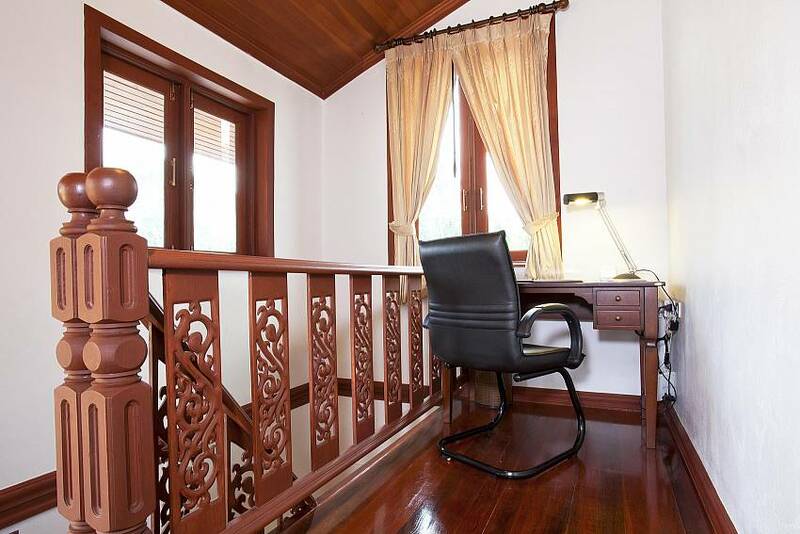 The villa comes with an office area that has a printer, scanner and fax machine. 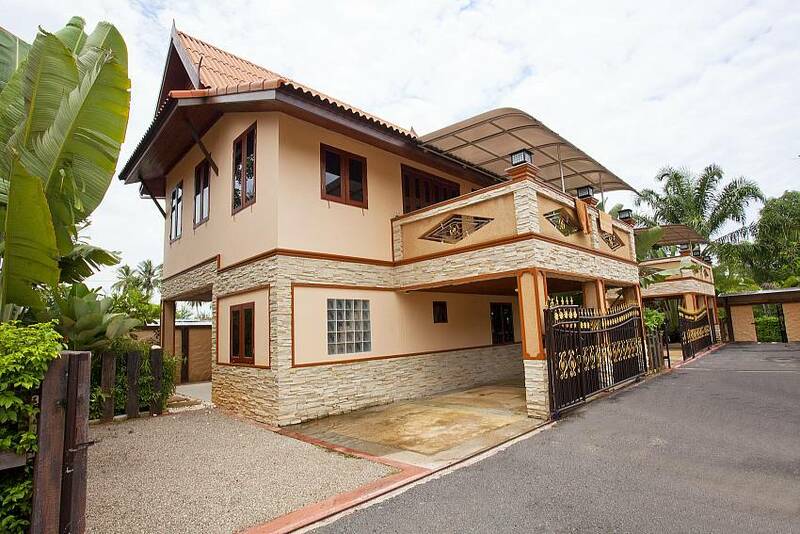 There are three identical villas also for rent here. 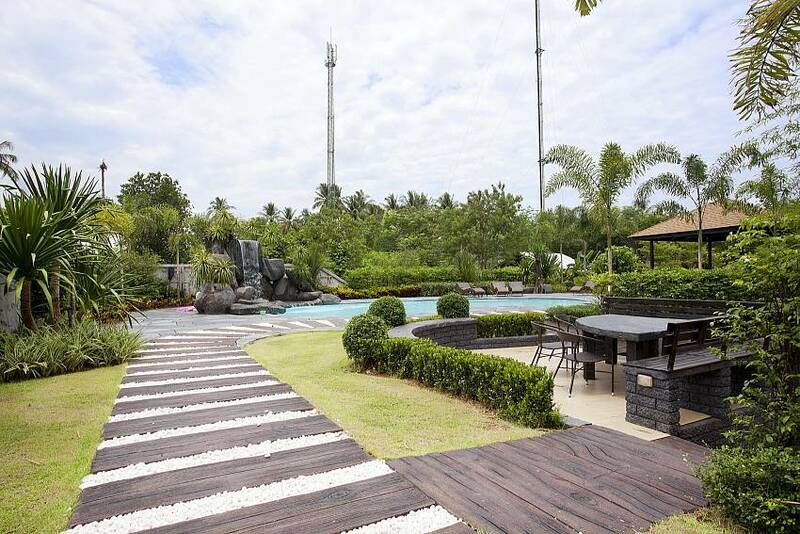 The villa is located at Ban Chong, just 7km from beautiful Ao Nang Beach, where there is also a huge selection of restaurants, bars and nightlife. It's also the start point for boat trips to the local attractions such as Phi Phi Island, James Bond Island, Railay beach and much more. 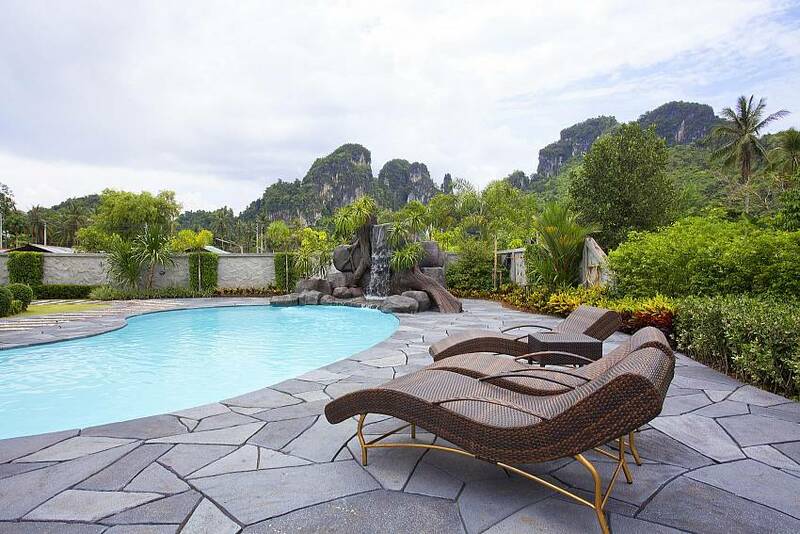 The choice of activities such as snorkelling, diving, rock climbing and jungle walks is immense in this spectacular part of southern Thailand that has everything you need for a truly unforgettable holiday. 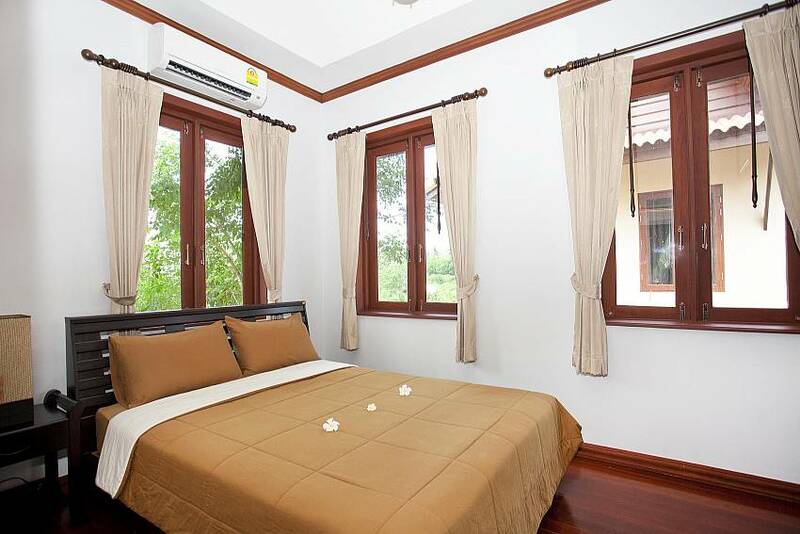 The villa has two bedrooms with double beds and charming furnishings. The villa has two bathrooms. 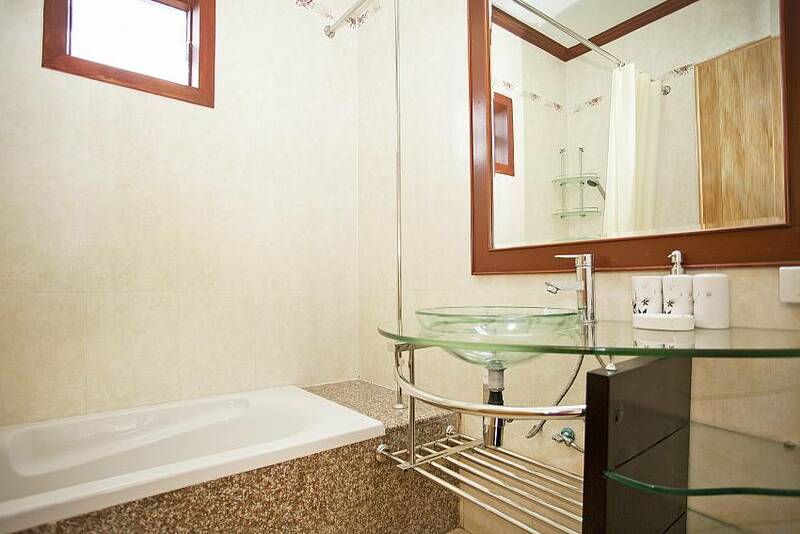 The main bathroom has a bathtub, shower, WC and wash basin. 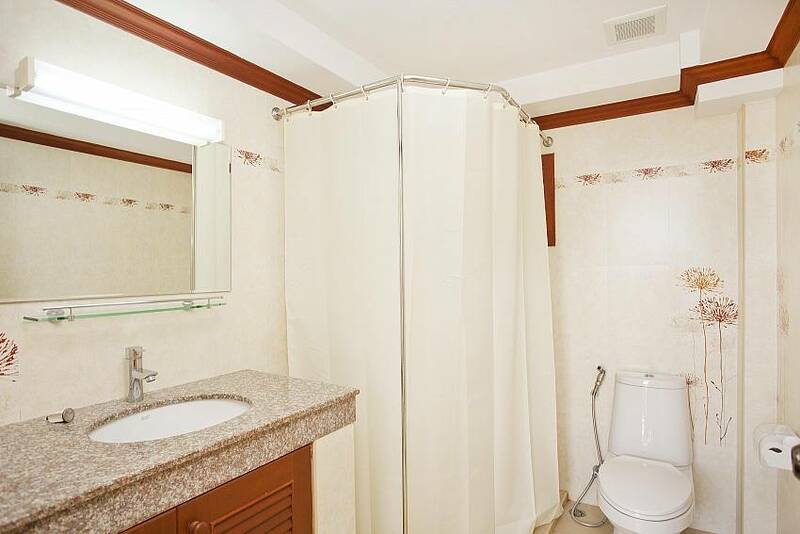 The second bathroom has a shower, WC and wash basin. 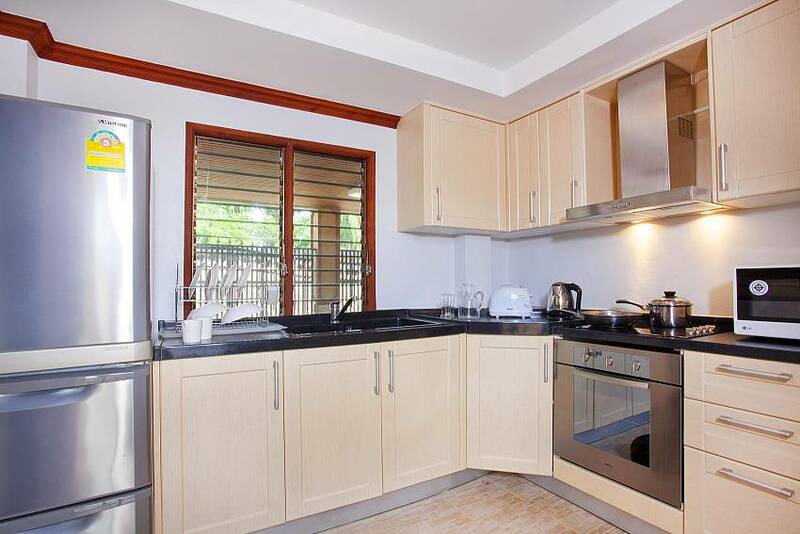 The modern kitchen is airy and bright and is equipped with appliances for easy self-catering, including refrigerator, washing machine, oven, toaster, rice cooker, stovetops and tea and coffee making facilities. 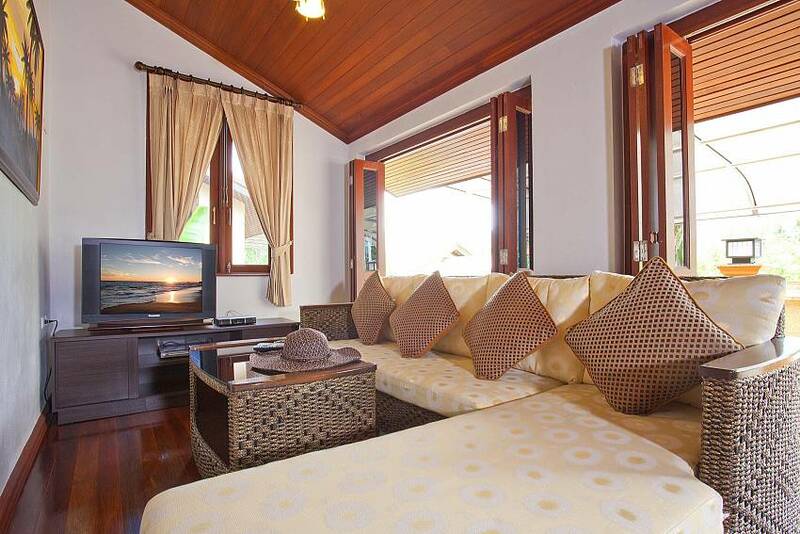 The lounge area has a warm feel with wooden floors and pleasant decorations and furnishings. There is a TV with international channels and a DVD player to watch holiday movies. 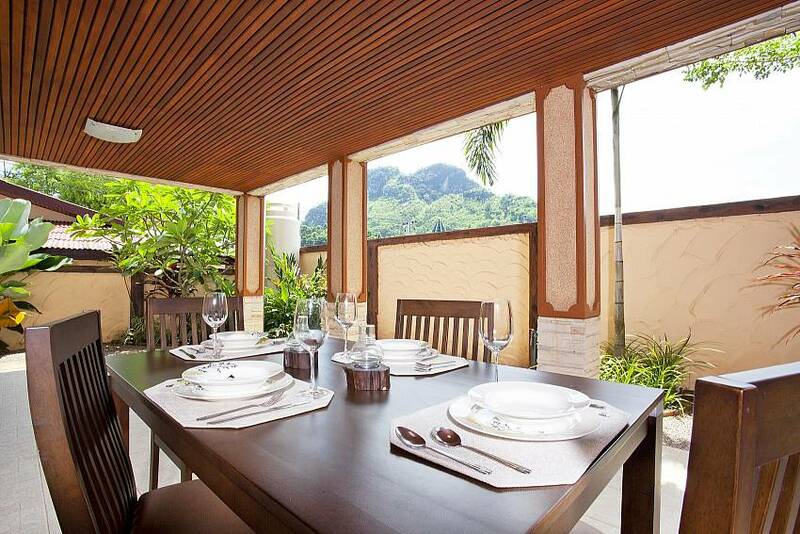 The dining area is located in a pleasant outdoor terrace with wood ceilings and a table and chairs for four persons.